To recruit and retain members of the Chamber. To publicize and communicate the benefits and value of Chamber Membership. To maximize member involvement and engagement in Chamber activities. "Plan and implement members retention activities that will inform and educate/organize continuing programs for recruitment of new members." What does a Chamber of Commerce Membership mean? It means getting involved and staying involved. It means speaking your mind on important issues that affect your business. Membership means meeting other business people from this area and working with them to help businesses survive and thrive in Wilson County. It means paying your fair share to support - and have a voice in the operation of - a non profit voluntary organization dedicated to creating a healthy economy and improving the quality of life for all the people in our community. Advertising Opportunities As a member the following are available to assist in your marketing efforts: Membership directory, City Map, Newsletter, Mailing label, Referrals, Reverse Referrals, Racks for displaying your business brochure, Coupon Book. Networking Opportunities The Chamber provides many functions to aid in increasing the member's network of business contacts, such as, Business Before Hours, Business after Hours, Membership Luncheons, Committees, Leadership Wilson County, and Special Events. Business Resource Center An entrepreneurship outreach activity, opened May 24th, 2000. Information available on starting a new business or expanding an exixting business. 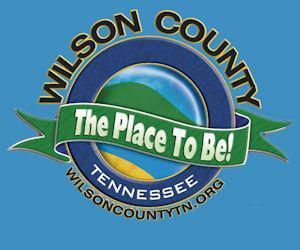 The center benefits the economic growth of Wilson and adjacent counties. The center sponsors an integrated series of seminars and workshops. Visit the Business Resource Center for more information. Resources The Chamber maintains a variety of information for the community including demographics, industrial directory, crisscross city directory, business start-up kits, list of local, area and national government contacts, statewide visitors information.